Jun 2 By Jen This post may contain affiliate links. It’s finally the last week of school here in SoCal. My boys are already in summer mode, though. They’re counting down the hours until school is out. 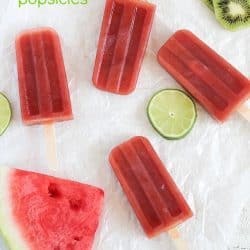 Honest mom moment: I always WANT to have fun plans with my boys for summertime but never actually follow through with them. This year is my year to finally follow through! I want to make a list of something fun to do every day of the week for the months they’re out of school. Whether it’s finding a new park, playing a fun game, doing a craft, or cooking a new recipe. The last one is my favorite. 🙂 My boys love being in the kitchen with me. Sometimes I’d rather cook all myself because it’s easier but I’ve found that my little ones feel so proud when they’ve helped me do the measuring and mixing, etc. One of my boys’ favorite meals is pizza. I mean, who doesn’t like pizza?! 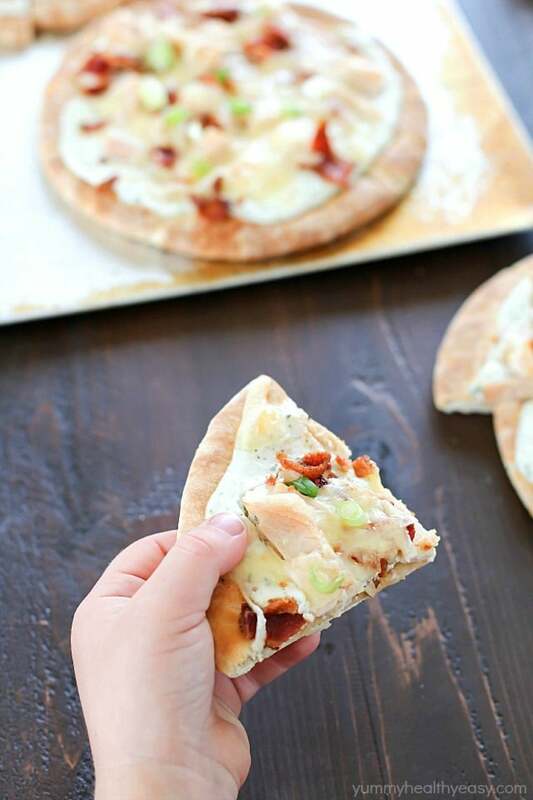 I’ve got the best secret ever for a quick pizza – pita bread. 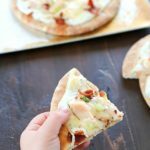 Have you ever tried making a pita bread pizza? It makes the most delicious crust and is (obviously) already made so you don’t have to worry about making dough. 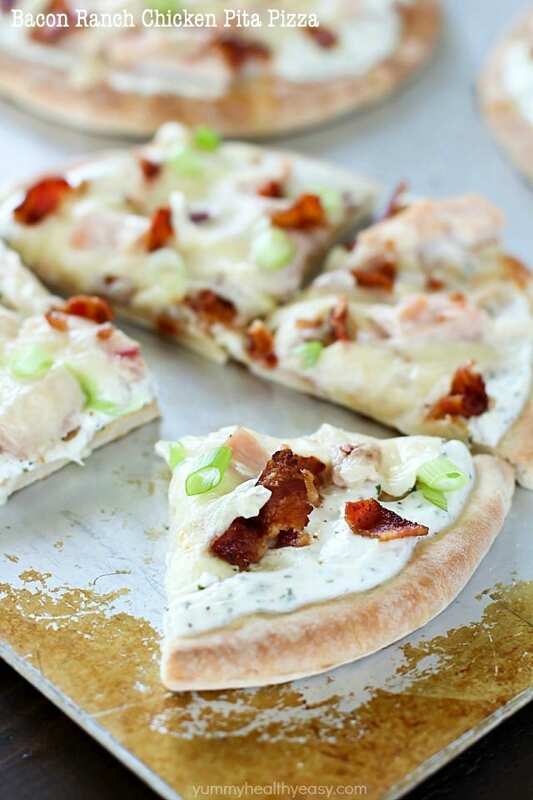 But here’s another question…have you ever had ranch on a pizza? OMG you guys. So so so yummy! I was just introduced to my new favorite secret weapon – Hidden Valley® Greek Yogurt Dips Mix. These delicious ranch packets are mixed with nonfat Greek yogurt for a healthier spin on ranch dip. Such a great idea! When you prepare it this way, there’s 98% less fat, 67% fewer calories, 3 times more protein, and zero grams fat than when using sour cream. 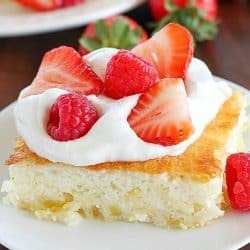 I kid you not, it tastes the exact same with Greek yogurt as it does with sour cream. It’s a no-brainer. I’ll take the healthier version, please! And then I’ll spread it all over a pita, add some cooked chicken, a tiny bit of bacon and a sprinkling of cheese and bake until crispy and golden. 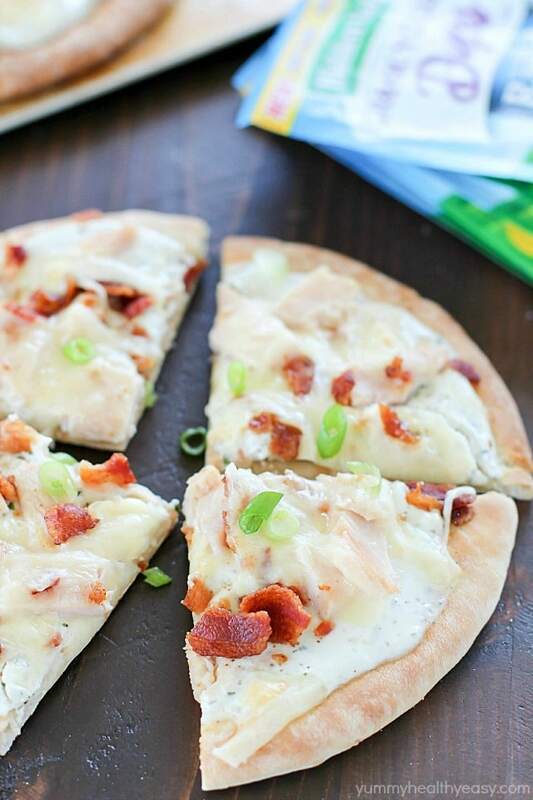 It’s the perfect lunch, dinner or snack the whole family will love and the kids can even help make! 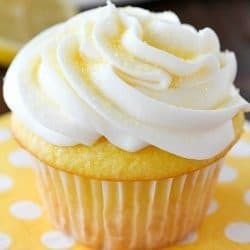 Only a couple ingredients and made in under 30 minutes. All with that ranch flavor you know and love from Hidden Valley® . 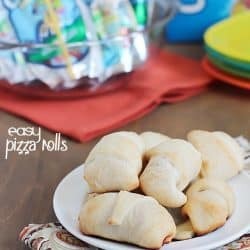 These cute little pizzas are perfect to serve all those neighborhood kids that will be hanging at my house this summer, too! 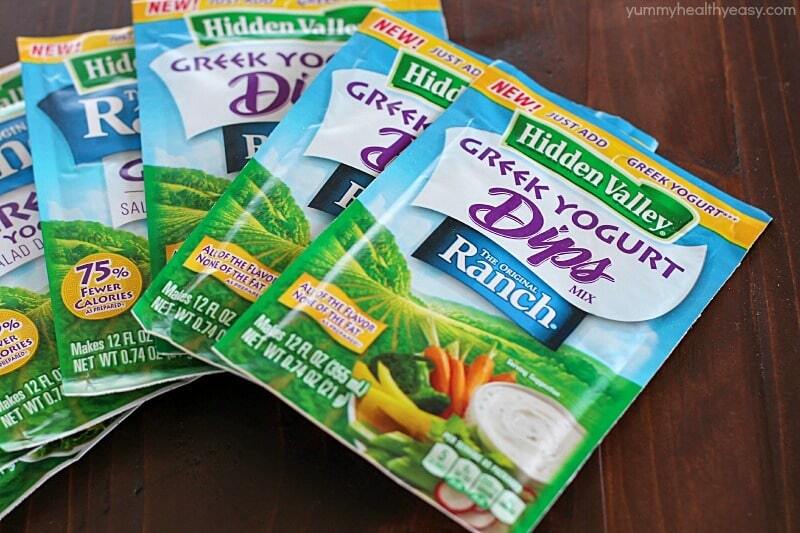 I am a huge fan of Hidden Valley’s new Greek yogurt line products – salad dressing mix and dips mix. They both have that same great Hidden Valley Ranch taste with less fat, more protein and fewer calories when mixed with nonfat Greek yogurt. Check your local store today for Hidden Valley® Greek Yogurt Dips or Salad Dressing Mix – you won’t be sorry! 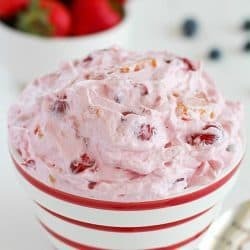 Mix together Hidden Valley® Greek Yogurt Dips Mix and 1 1/2 cups nonfat Greek yogurt. Place pita bread on the cookie sheet and spread with prepared dip mix. 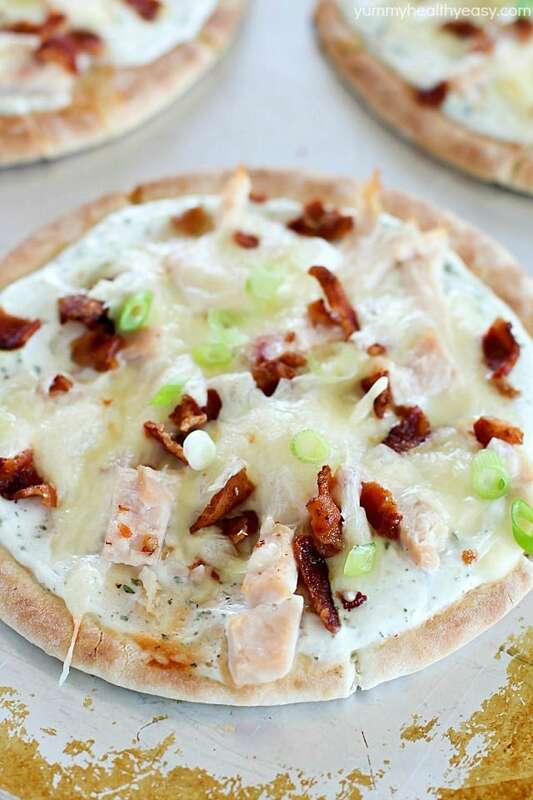 Top with chicken, bacon and cheddar. Bake for about 15 minutes, or until cheese is melted and crust is golden. Sprinkle with green onions, cut into fourths and serve. Enjoy! 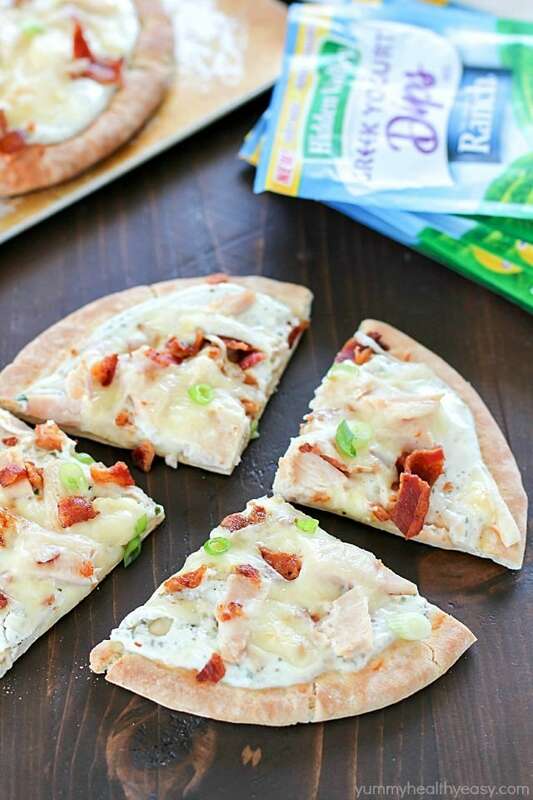 Follow Hidden Valley® on Facebook, Instagram, Twitter and Pinterest for meal ideas and inspiration! This is a sponsored conversation written by me on behalf of Hidden Valley – Greek. The opinions and text are all mine.